Having a kitchen remodel done at your home will increase the value of your home and provide a functional and beautiful space that you and your family will enjoy for many, many years. This is why homeowners always call us as their Woodbury kitchen remodeler. We have over a decade of experience and we work with our clients to provide their dream space with our profession service. 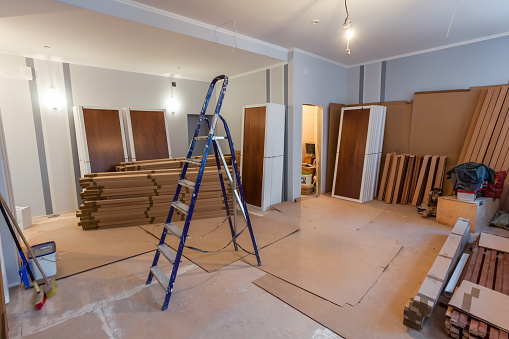 We offer a wide range of renovation methods to meet the needs of our customers. There is project that is too large or too small for us. We can make your vision come true with our design and custom remodeling. Woodbury is the ninth largest city in Minnesota with a population of 67,855. The city was originally called Red Rock, but the name was changed to Woodbury after one of the first justices of the Supreme Court, Levi Woodbury. The area was first settled in 1844, then was organized as a township in 1858. The Charles Spangenberg Farmstead is one of the last surviving farms from the nineteenth century in the city. This city has something exciting for everyone to enjoy. The city has over three thousand acres of parks and 140 miles of trails. Visitors can enjoy relaxing or playing at any of the parks and walk on the trails to see nature that is located in the city. There is also an indoor park, which is called Central Park. The indoor park has a library, a YMCA, and different activities that everyone can enjoy. A favorite place in the city is the Carver Lake Beach. The Carver Lake Beach has a playground, a large swimming beach with lifeguards, picnic areas, and an archery range. The lake is forty acres deep and you can enjoy fishing here, too. If you spend an afternoon here, you will quickly see why the Carver Lake Beach is a popular place for residents and visitors. During the winter months, visitors can enjoy the outdoor skating rinks in the city. There are five outdoor skating rinks along with warming house that are open daily. If you are visiting the city during the winter months, then you can enjoy ice skating at one of the parks. There are plenty of fun activities to see and do in this city. If you are just looking for relaxation and beauty, then this city provides that and so much more. Great Northern Builders is the professional contractor that homeowners in Woodbury contact for all their home remodeling, home additions, and basic remodeling. We provide a no-obligation consultation. Contact us today and let us help you design a room remodel for you.